Lunch will be provided for attendees of this event. Mark Eggleston is a senior executive specializing in security and privacy program development and management. 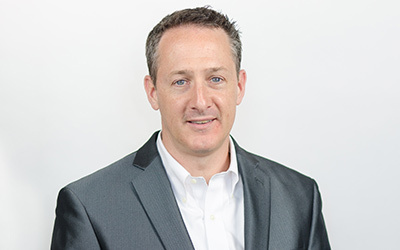 He currently serves as Vice President, Chief Information Security Officer and Privacy Officer at Health Partners Plans in Philadelphia, where he leads the implementation and maturation of various security technologies and privacy initiatives. He also manages a business continuity and disaster recovery program. Mr. Eggleston’s unique background and expertise in information technology, program and people management– combined with his diverse experience in managed care and health care provider systems– has positioned him as a thought leader and frequent industry speaker. Mr. Eggleston started his professional career serving as a program manager and psychotherapist at a hospital serving children and adolescents. Later, Mr. Eggleston helped to develop an internal compliance approach– complete with policies and tools– ensuring a geographically dispersed health care provider organization (across 19 states) that complied with the Health Insurance Portability and Accountability Act of 1996 (HIPAA). Mr. Eggleston then transitioned to applying his HIPAA expertise to Health Partners Plans. He has been promoted into a series of positions to direct the organization’s security and business continuity programs. Mr. Eggleston has also helped to implement many successful security controls, including single sign-on (SSO), Identity and Access Management (IAM), and a vulnerability assessment program.